GoAir will launch direct flights on Kannur–Abu Dhabi–Kannur route effective March 1, 2019. The airline will operate four direct flight services per week between the destinations with bookings now open at an all-inclusive one way fare starting from Rs 6099. This sector will further strengthen the airline’s growing international network to the Gulf and travellers will now have the opportunity to experience affordable travel experience that GoAir is acknowledged with. “Commercial and cultural links between India and UAE are flourishing and GoAir is committed to contribute in facilitating and enhancing the growth of trade and the strong demand for tourism. 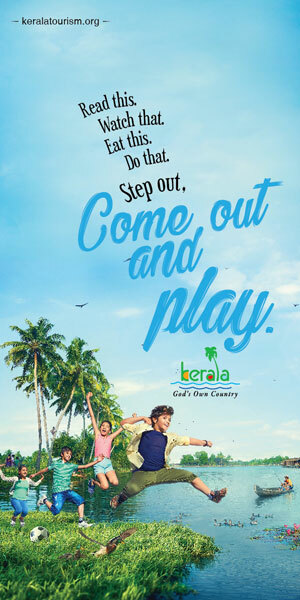 Kannur, an incredibly beautiful part of India, is now accessible from Abu Dhabi with direct flights and an affordable and convenient travel option,” said Jeh Wadia, Managing Director, GoAir. Recently GoAir announced international operations out of Kannur to Muscat. GoAir will operate three direct flight services per week between Kannur–Muscat–Kannur effective February 28, 2019. On the domestic front, GoAir currently connects Kannur to Bengaluru, Chennai and Hyderabad.